Award-winning author Kent Gustavson was born immersed in a rich musical heritage. As the son of peaceniks, he grew up with family sing-alongs. From Pete Seeger, Joan Baez, and Bob Dylan, he darted to classical, jazz, and avant-garde jazz, before circling back to the Greenwich Village folk canon and tracing that music back. 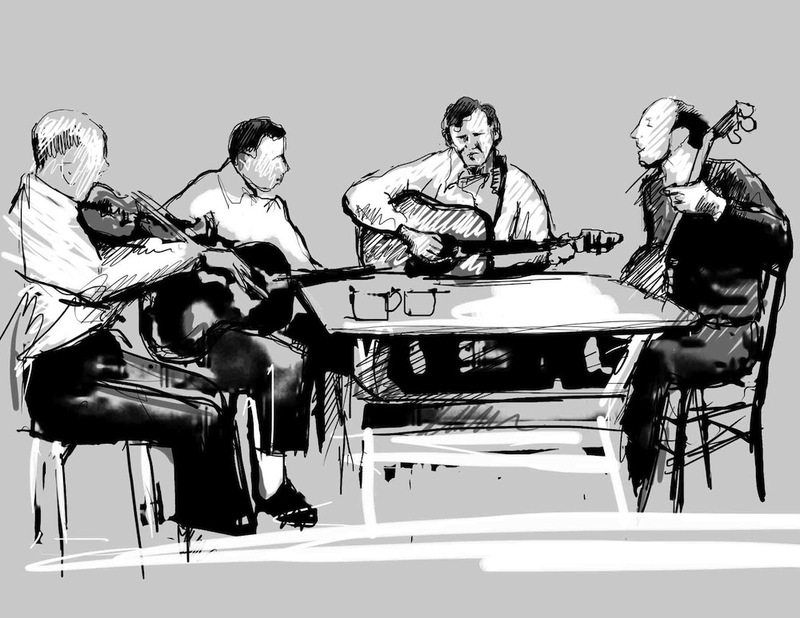 In singer-guitarist Doc Watson, Gustavson found a treasure of American music. His biography of Watson, Blind But Now I See (Sumach-Red Books) is the definitive biography of an American icon. 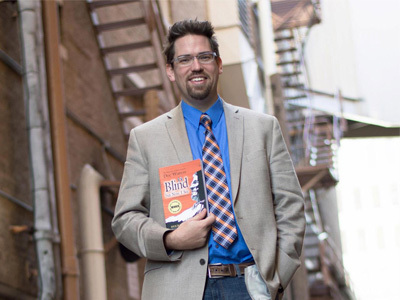 The Tulsa, Oklahoma-based author is uniquely qualified to write a book that merges myth, musicology, and American history. He holds a PhD in classical composition from Stony Brook University in New York, where he taught leadership, writing, literature, music and German for ten years. He’s an active musician with 14 critically acclaimed albums, and his music has been featured on National Public Radio’s All Songs Considered. He also hosts a radio show, Sound Authors, where he has interviewed hundreds of award-winning authors and musicians. 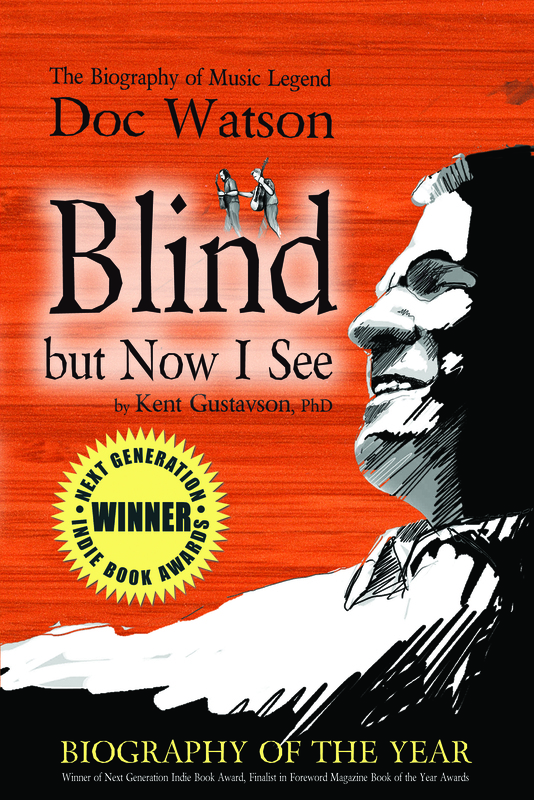 Blind But Now I See is the first comprehensive biography of Doc Watson. It was written over 6 years, culled from meticulous archival research and well over a hundred interviews. The book brims with insights from such legendary musicians as Bela Fleck, Ben Harper, David Grisman, David Moultrup, Jerry Douglas, Jonathan Byrd, Marty Stuart, Michelle Shocked, Mike Seeger, Norman Blake, Ricky Skaggs, Tommy Emmanuel, Tony Rice, Tony Trischka, and Warren Haynes, among many others. It is a winner of a Next Generation Indie Book Award, and finalist in the Foreword Book of the Year Awards. The book has sold 5,000 paperbacks and 25,000 e-books. Vintage Guitar Magazine praises it as: “A touching story about overcoming life’s obstacles.” Blind But Now I See is now available in its expanded second printing, with a third and even more expansive edition already in the works. Gustavson’s congenial but probingly insightful interview skills help piece together a powerful and honest character mosaic. His vibrant, erudite, and enthusiastic prose demystifies Watson’s astounding musicality and dissects the paradoxes and complexities of the man with bold sensitivity. Jacksonville.com/ The Florida Times Union published a gimme 5 with Tara Nevins of Donna the Buffalo promote their show at the Freebird in Jacksonville Fl. Photo by Lewis Tezak Jr.
Tara Nevins sings and plays fiddle, guitar, accordion and scrubboard in the Americana band Donna the Buffalo. The band plays music that incorporates a mix of Cajun/zydeco, rock, folk, reggae and country. 1. 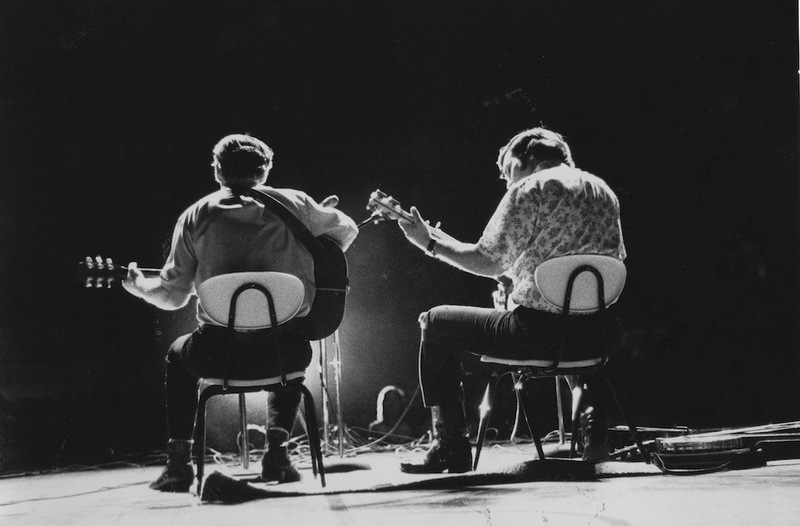 Levon Helm: I’ve had the opportunity to record with him a little, and I’d love to do it a lot more. He’s an incredibly soulful musician and an amazing drummer and singer. He’s also a wonderful person. 2. Loretta Lynn: She is my all-time favorite female country artist. I love her voice, her songs and her soulful spirit. “Coal Miner’s Daughter” is my favorite movie; I find her life’s story very compelling. As hokey as it might sound, I’ve even gone to Butcher Holler. I took my fiddle out, sat on the porch of the cabin she grew up in and played a tune! 3. Sheryl Crow: She is my favorite pop artist. I love her songs and her voice, her style of pop music. 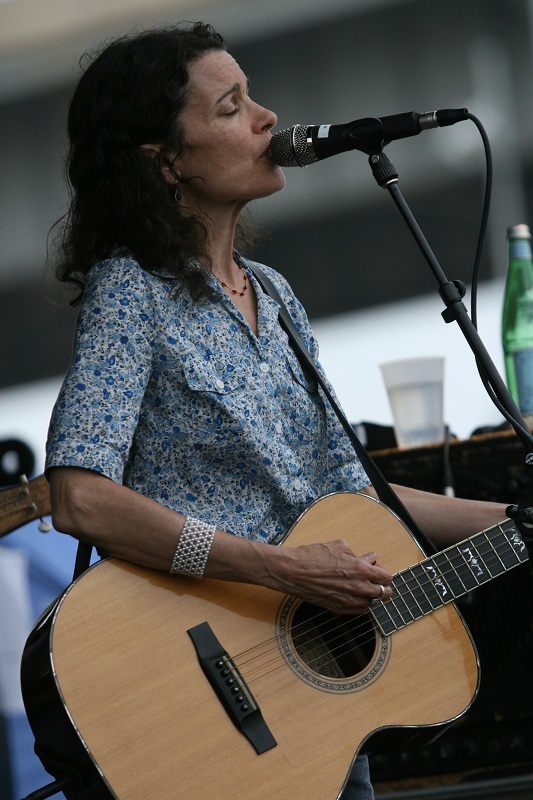 She has been inspirational to me in some of my songwriting. 4. Marty Stuart: I’ve seen him in concert a few times, and I’ve listened to many of his recordings. He is incredibly soulful and powerful in his presentation of the music he loves. I love his voice and his songwriting. He is a great instrumentalist as well. He’s the real deal. 5. Kid Rock: Yes, I find him to be soulful — something about his energy attracts me. He has an edge that I like a lot. Hard to pinpoint why, but I’d love to record with him.